What is Your Fitness Business Shouting For? What’s the difference between a whisper and a shout? Sure, that might sound like a softball question. But what about in your fitness business? 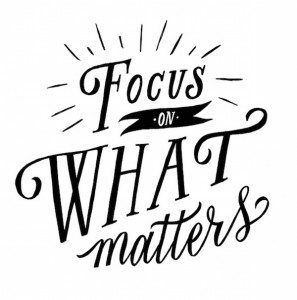 About four or five years ago, I learned that you should only focus on the things that shout in your business or in any aspect of life for that matter, not on the things that whisper. Whispers are the time-eating, pesky details of your business that distract you from your main goals. But shouts, now those are the anchoring points of your business. You get these done and everything else will follow. Let’s take your fitness business, for example, and let’s say that you’re starting a new personal training or group training boot camp business. A whisper would be something like what your logo’s going to look like. A shout would be something such as what kind of marketing you’re going to use to drive leads into your business. If you have an online info business, a whisper would be whether to use AWeber, GetResponse, or FitPro Newsletter. A shout would be deciding the hook of your product that will entice someone to buy it. Too many people focus on the whispers. There happens to be two reasons for that. The first reason why people focus on those tiny little whispers is because they want to major in the minor things. They slow and stall the process of launching their business out of a fear of actually doing it. That typically comes from a place of self-sabotage and fear. Now, I understand how scary it is to launch a business. Having launched six businesses, two of them that failed in the beginning, I know what it’s like to launch a business, fail, and humbly try and get back on your feet to do it over again. Here’s the thing: every day that people delay launching their businesses, they delay their success. Heck, they delay transforming the lives of those in their communities. Every day, there’s somebody crying themselves to sleep because they can’t lose weight, get in shape, be fit, and have a better life — all because those services aren’t available to them. You have to embrace the possibility of failure. In fact, failure is guaranteed thing when starting a business. Now, the other reason some folks focus on the whispers and not the shouts is because they’re too detail-oriented. But you want to make sure you tackle the right whispers. That comes from taking on the right shouts in your business. If someone allocates money to the wrong marketing campaigns or hires an awful staff or designs subpar workout plans, the rest of the details won’t matter. I mean, who cares how many reps you should do when the workout itself is awful? The solution to that is a two-parter. First, you have to learn to take imperfect action (remember that?). If you’re too detail-oriented, that means you’re trying to make your business perfect. Let me tell you this: there’s no such thing as perfect. There just isn’t. If you wait to be perfect, you will never launch and you will never get your product or your idea out there into the market space. However, if you take imperfect action right now and course correct as you go, not only will you help more people, but the feedback you get from customers and clients will improve your product even more. That holds true whether it’s personal training, boot camp, or an info business. Set realistic expectations for yourself. Take year one as a testing phase of sorts. 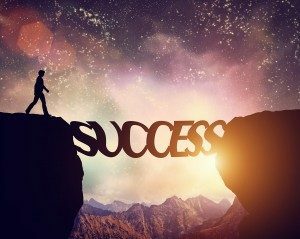 You might struggle here and there, but by year two, you’ll have made adjustments that aim your business’s trajectory straight toward your goals. The second thing is that if you’re really focused on the details, odds are, you’re probably afraid of launching your business because you don’t know what to do next. Look at it this way. If you focus on the whispers, things like your logo, what auto-responder system to use, or what color your website should be, those things don’t matter. However, you should freak out if you don’t know what marketing you want to use or if you don’t know where your next referral is going to come from or what price points you should price your programs at. So as an entrepreneur, you have to do personal self-checks. The self-check is when every now and then you ask yourself, “Self, am I focusing on a whisper or a scream?” If it’s a scream, it probably should be number one, two, or three on your to-do list, and so it should get done now. If it’s a whisper, it can be an eight, nine, or ten on the list, which means you can get to it after you do the important things. It’s those ones, twos, and threes, the screams and shouts, that will make you more money, that will afford you a better lifestyle, that will help you help more people in your community with your fitness and fat loss knowledge. Now, if you want more information on how to grow your personal training business or boot camp, or you want to know what to focus on, things to avoid, or even if you just need some direction, check out this blog and my PT Power blog. There’s a lot of free information on both sites, so you can grow your fitness business and take it to the next level.